Does sleight-of-hand skill provide the audience with an explanation for your miracles? Yes and no. Yes, in an abstract, intellectual, generalized way. No, not in any way that will touch their emotions. Here is an experience I've had numerous times when performing. After a particularly baffling effect, someone will say excitedly, "I know how he does it!" As soon as someone takes the bait and asks how, he exclaims, "It's a trick!" (This may be one of those things that happens to all magicians, much like, "Can you make my wife disappear?") The comment is obviously meant to get a laugh and usually does. The joke, of course, is that the person's explanation explains nothing. It's obviously true. Yet it's completely unhelpful. It's so generalized that it provides no cause-and-effect linkage to overcome the audience's foaling that what they've seen is impossible. Compare this to the following patter I use to introduce one of my effects: Sometimes after a performance someone unll came up to me and say, T thinh I tmou* how you did those things. * 'Alright, thm,1 HI say, 1How did I do them?' Then they usually say, 'You used sleight of hand.1" This patter always gets a laugh. I think it's for the same reason that the "it's a trick" line gets a laugh. It's an explanation that explains nothing. It tells them something they already know yet something that is of no help in understanding what they're seeing. 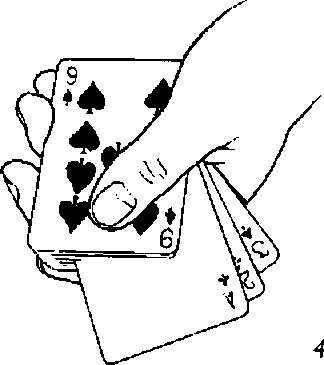 It's worth remembering that, whether or not the audience realizes that you have aleight-of-hand skill, they always have a generalized explanation they can leave the performance with: It's a trick. In terms of having a magical experience, leaving with the explanation, "It's a trick," is no different from leaving with the explanation, "It's a sleight-of-hand trick." Neither changes the fact that (if the effect is properly structured) the audience has seen something for which they can detect no explanation and no possibility of an explanation. They therefore respond to it as if it's magic because it feels like magic, although they hnow it's not.